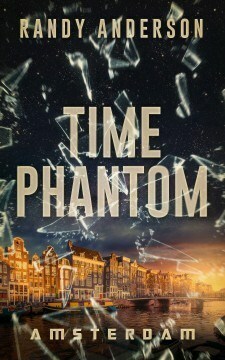 Time Phantom: Amsterdam by Randy Anderson. On his 50th birthday, recently divorced male model Dane Vanderbrouk, is struck by a peculiar affliction. If he remains still for too long, he falls back in time. If he moves too fast, he'll travel forward. And, when you’re a time traveler the world is an immutable place. Every action vanishes with each jump in time. Chased by an assassin from the future through the narrow streets of Amsterdam, Dane is thrust into a war where shaping the future means changing the past. Fast paced action, unexpected twists, and an eclectic cast of characters will pull you into a world where impressions matter, but only an action of consequence can change the future. Time travel has a new speed, and adventure in a new series. Tonja dropped the sheer white fabric over her face. She’d always thought the veil was meant to hide the fear from the attendees who’d come to witness this special moment. But now that she was the one looking out from behind the porous fabric, she realized the ceremonial costume was designed to calm the fears of the honoree. The world appeared benevolent and calm. Soothing. As she walked down the hallway toward the altar, she began to hear music. Soft strings and bass notes accented by a subtle melody. The music underscored the rhythmic percussion of seven swords stabbing a large stone altar. The music transformed the violent actions into something beautiful. The air smelled of lilacs and vanilla, scents that brought with them happy childhood memories. When she arrived in the room—the room that was to be her casket—she scanned the faces of her friends. Institutional companions, really. People she’d come to know simply because they’d all been quarantined together for decades, ever since she was snatched up and taken to this place when she was twenty-five, the height of her youth. And now, on her fiftieth birthday, she was walking toward an altar, where she’d be strapped down and stabbed into oblivion, like thousands before her. This was how it was done. It was best for society, they said, and more humane for the individual to be stabbed by seven men on the surface of a stone tablet. Walking toward them, she observed their labors, metal sparking against stone, rhythmic stabs where she would soon lie. In a few short moments the men would stop their actions and allow Tonja to lie down and be strapped to the stone slab. It was that simple. If when the altar shifted she didn’t fall back in time, as they said she would, she would be unstrapped and set free. But in the event that she did travel back, her body would appear under the pointed blades she’d just witnessed in action. The kill would be quick. Tonja had resigned herself to this fate after witnessing her first ceremony. The image haunted her. Seeing the body vanish from the altar the moment it moved, then having the memory of seeing the man gored by the rhythmic lunges of the swords minutes before. It was confusing, frightening, and magical. 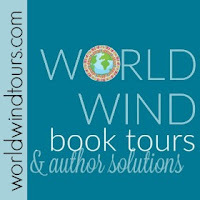 She closed her eyes and imagined what the hard stone slab would feel like. How the leather straps would press against her skin. She was only moments from the experience itself, and yet she couldn’t help indulging the fantasy. Why did they use such heavy materials? Why stone and leather? And why stabbing? Why not fire? Or a bullet through the head? The questions were piling up inside her head. The most pressing of which was, why hadn’t she thought to ask these questions earlier? Panic arrived like a clap of thunder: sudden, loud, and resonant. Her knees thrust forward, but her calves kept her balanced. She knew it was coming. She was seconds away. She had to get onto the altar immediately or… or, or, or… there was another option. The question wasn’t why the method of death, it was why the straps? They didn’t want her to run! But her desire to do so was overwhelming. So that was what she decided to do. A pressure fell over her body just as she turned on her heels and sprinted away from the altar. The pressure vanished the moment she started moving. Emotion manifested in laughter. It was that easy! She ran down the corridor toward the exit. She just needed to keep moving. That was it. Keep moving. She could hear them screaming in the ceremonial room. Shouts of disapproval mixed with terrified cries. Her body hit the door. The moment she stopped, the pressure consumed her again and was immediately replaced by dizzying spins. Everything was moving. Her world transformed. The door was locked. Her laughter dissolved into fear as she continued to try the immovable knob. She wasn’t going to escape through this door. She had to go back. She had no choice. She turned and ran back toward the altar room. The room she’d just fled. The spinning stopped. The world returned to normal. As she approached the altar room, she noticed that it was filled with a different collection of witnesses. People she recognized but who weren’t at her ceremony. It wasn’t her ceremony. “A runner!” someone shouted when they noticed Tonja in the hall. A fundamental instinct exploded in Tonja’s chest. An instinct that would drive her farther than anyone could imagine. Quickly, she turned and ran back down the hall and forced herself into the preparation room. The room where she’d so deliberately covered herself in delicate fabrics. It was empty, the last occupant a fresh kill on the altar slab. She stared at the floor-to-ceiling window she’d been daydreaming out of only minutes before. A long, rolling lawn started just on the other side of the glass. She needed to get out, to feel its softness under her feet. Without pausing she jumped at the glass. Her body cracked. The window cracked. And she bounced back, landing hard on the floor. Pressure. Spinning. Disorientation. She held her head and screamed. She rolled to her side and sprang to her feet. It was earlier. A man was dressing in his ceremonial attire, staring, as she had, out the window. He was startled by her appearance, as she was by his. But Tonja kept her focus, channeling her instinct to run. She sprinted in circles around the room. The cracks she’d made on her first attempt on the window were gone. That was tomorrow. The window was once again perfect. She had to start over. This time, though, she tossed herself at an angle so she would bounce off, land on her feet, and keep moving. The man watched in amazement as Tonja tossed herself against the window seven times. It was the eighth that would bring her freedom. Circling the room, she picked up as much speed as possible and charged the cracked glass. She curled into a ball to focus maximum energy on the smallest surface area. Her body popped though the first-story window and she landed on the grass. With dozens of broken bones and her skin heavily lacerated, she rolled on the soft green as long as she could manage before coming to a stop. Bloodied and battered, she closed her eyes and succumbed to the spinning. Staring at the sky. Believing it was the end. She had to cough out blood and managed to roll over. The spins stopped. It was night. The grass was wet. Her injuries healed. The spins started anew. She rolled again, this time onto her feet. The sun was coming up. She laughed as she began running, celebrating her newly healed body and her newfound freedom. She had two goals now: keep moving, and get as far away from this place as possible. The lawn ended abruptly at the twelve-foot chain-link fence, topped with a massive tangle of razor wire. Tonja turned and ran along the fence, hoping to find a gate. Then she thought better of it. Any place that was surrounded by razor wire was bound to have armed guards at the gate. She studied the fence. Going over was her only option. The electricity was a surprise. The moment she grabbed the fence it singed her fingers and made red patterns across her palms. She stepped back, and the world was once again spinning. She ran. It was sunset. An entire day had passed in a matter of minutes. But what day? Her hands were renewed. Fresh and strong. There were no signs of damage or burns anywhere. She didn’t have time to ponder how far back in time she was falling. Or how she was healing. She needed to get on the other side of that fence. And she needed to keep moving. She studied the fence as she ran, scanning the razor wire, looking for an opening or a break in the density. When she spotted a lower pile, with three, maybe four layers of razor wire, she jumped onto the fence. Smoke rose from her hands and feet. She could smell her flesh burning as she reached over her head and pulled herself up. The pain was unbearable, but her drive was stronger. She paused to catch her breath, clinging hard to the hot fence so she wouldn’t fall from the spinning. She pulled herself up another rung. It was night. Her hands and feet were restored, only to begin burning once more. She reached the top and threw her body through the razor wire as hard as she could. The razors slashed her flesh. Arms, shoulders, face, legs, no part was spared. She squirmed and lashed her entire body, hoping to overcome the spiraling wire with her movements. She fell over the other side and dangled in the mess of metal. She’d stopped. The spinning started. She couldn’t move. All she could do was hang, a bloodied mass of flesh, over the side of the fence. She heard sirens. Lights were bouncing across the lawn, approaching her from the building. Guards were running toward her along the perimeter. She hung there, her world spinning. She’d made it out, she told herself. She made it to the other side of the fence at least. She didn’t just lie down and accept a fate dealt to her by the institution. She did something in her final moments. But those thoughts were quickly destroyed by her unassailable desire to live. So she freed an arm, ripping it off the hooked razors. Flesh dangled, blood poured to the ground, and she grabbed a bundle of wire and pulled herself up slightly, creating a bounce. It was still night, but there was no sound, no lights approaching, no guards could be heard. Her wounds had healed, only to be replaced by fresh ones as the razors cut once again into her skin. The spinning resumed. She was going to fall back once more. The alarms sounded. Lights came on. And again she was discovered. Carefully, she untangled her arms and legs, searching for the simplest way out of this puzzle of wires. Pulling razors from flesh. People were running across the lawn. Shouting guards. She managed to free both arms and pull herself up, yanking her lower body out of the wire. Large gashes opened across her thighs. She let go of the wire and allowed gravity to force the rest of her body through. The wires snapped. She fell ten feet to the ground. She landed on the concrete road like a sack of flour. Both her legs were broken. Her hip was displaced. She let the spinning overcome her. She was about to pass out from the pain. She was on the very edge of death when she saw the bright lights of a large truck driving toward her at a high speed. When it was a few meters from crushing her, she sucked in her gut and forced herself to roll out of the way. She hadn’t moved far enough to avoid the truck, but it had vanished. It was midday and her injuries were gone. She rolled off the road and onto her fresh bare feet and began running along the city sidewalk. She didn’t know where she was going. But it didn’t matter. She only knew she was free and headed into the future. Randy Anderson is a novelist and playwright. In 2011, he published his memoir, On Making Off. His second book, Careful, was released on May 1st 2014. He is currently working on a new time travel series as well as a literary trilogy. Plays he’s written include; New Year’s Resolutions, Homlessness Homosexuals and Heretics, Testing Average, Kill The President, Armor of Wills, and The Dwelling. If you want to know more, reach out! Randy currently lives in New York City where he writes, reasons, and reacts.